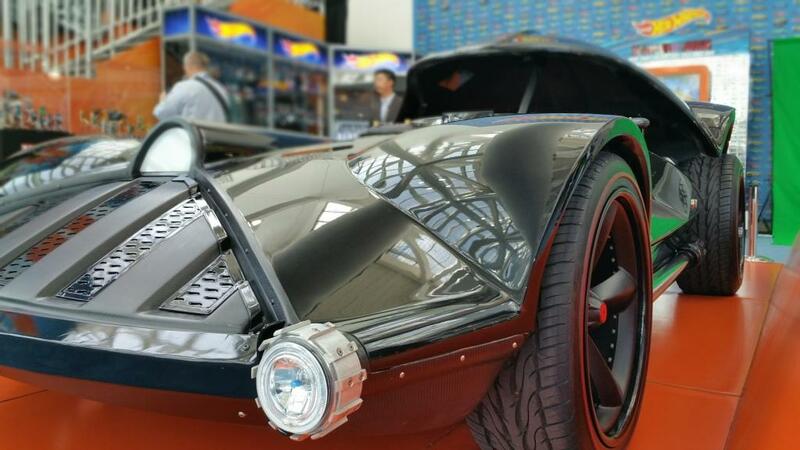 At the 2015 Los Angeles Auto Show, which begins today at the Los Angeles Convention Center and continues on through November 29th, there is actually some Star Wars representation(!). Very noticeably at the Hot Wheels exhibit space, the Hot Wheels 2014 Darth Vader Car is featured and is super awesome! 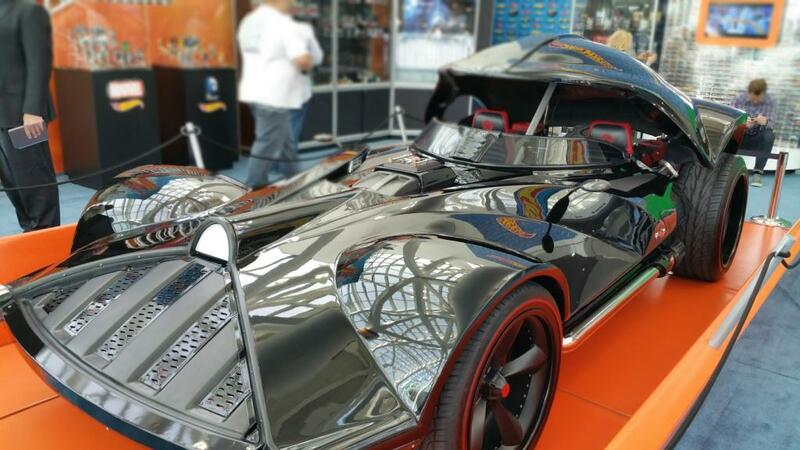 Designed by Bryan Benedict, the Darth Vader car debuted at the 2014 San Diego Comic-Con International to celebrate the first-ever partnership between Hot Wheels and Star Wars. It is a really awesome-looking car and a great homage to Darth Vader. Also at the Hot Wheels booth are numerous Star Wars play cars and other toys, many of which are vehicles and character-inspired Hot Wheels. On the exhibition floor, Fiat has a really great-looking car, as well as a “The Force Awakens” tie-in, with their 500e Stormtrooper. 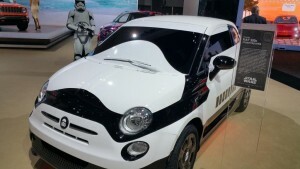 The two-tone black and white custom painting of the car body is inspired by First Order Stormtroopers’ armor and the windshield and the side windows are wrapped to bring out the immediately recognizable visor and helmet of the First Order Stormtrooper. The inside is also all black and white, while the dashboard is painted in white and it is enriched by the “Star Wars” logo on it. All the details are painted in white/black lacquer, and a First Order insignia can be found on the two-tone leather-wrapped steering wheel. If you happen to be at the Los Angeles Auto Show, it’s certainly worth stopping by and checking out the Star Wars cars!